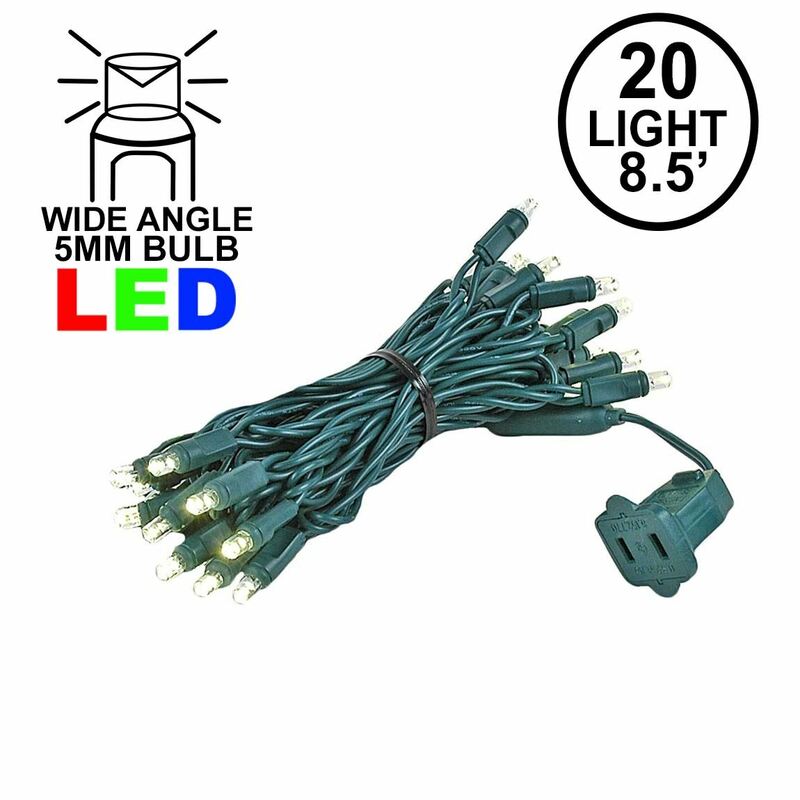 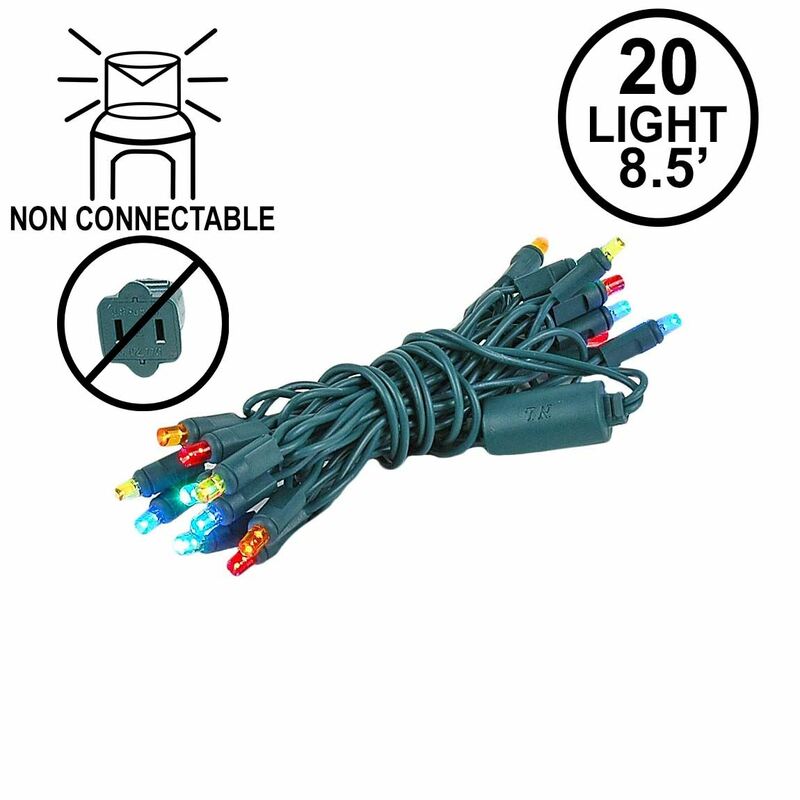 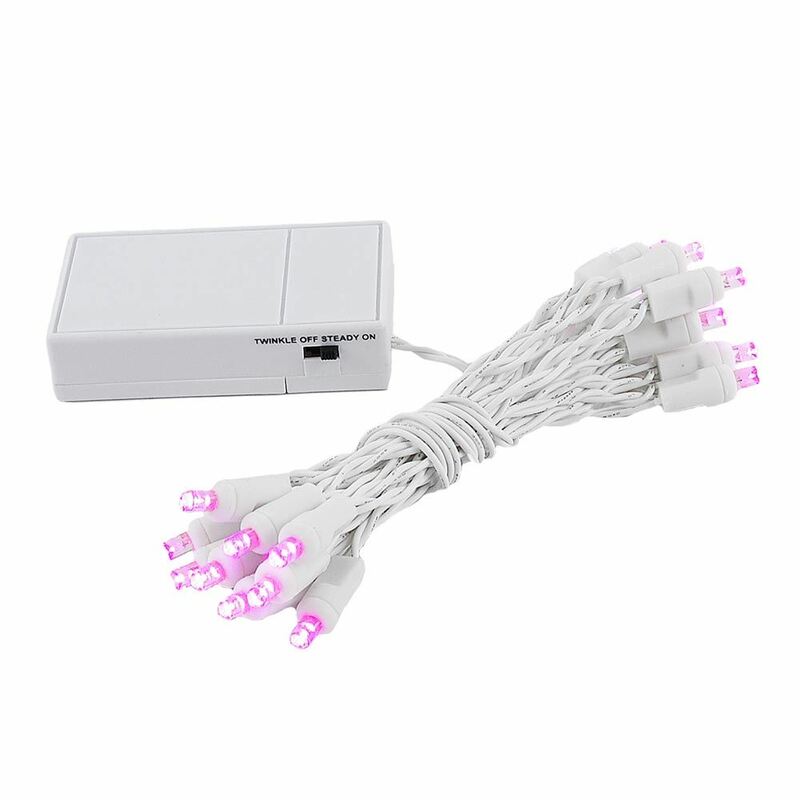 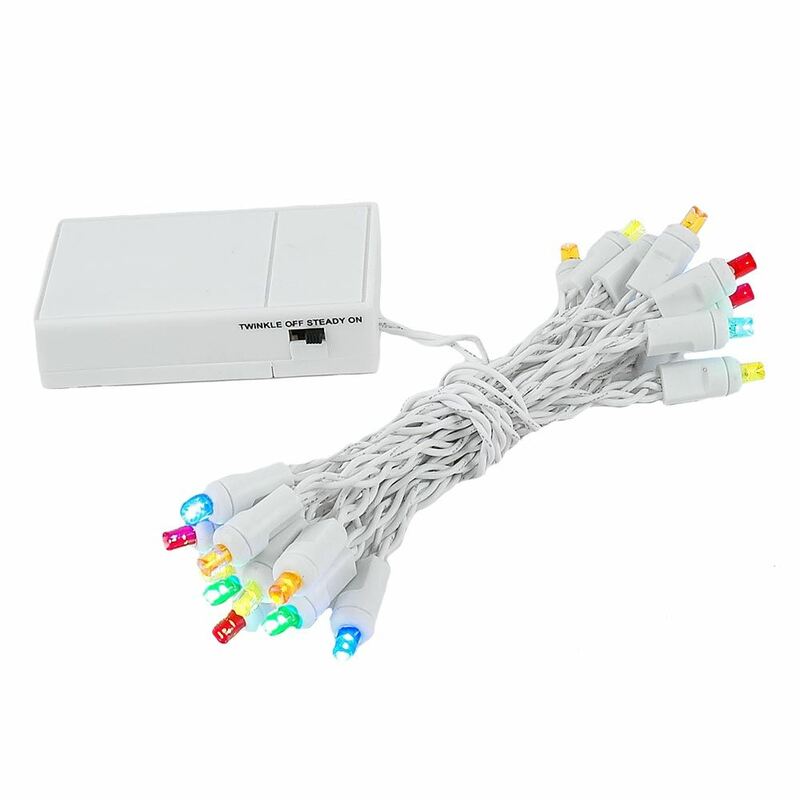 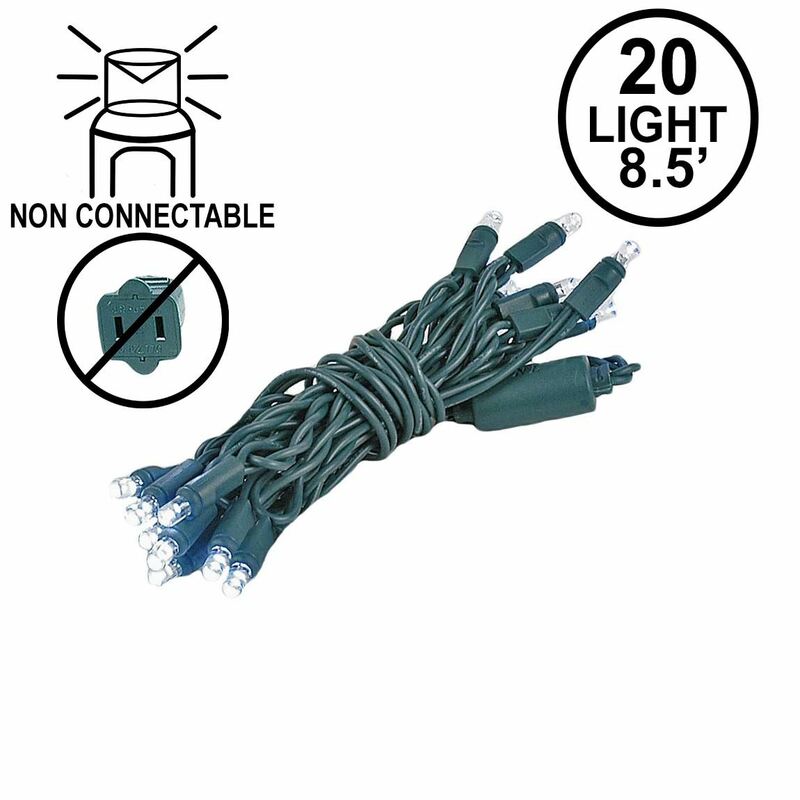 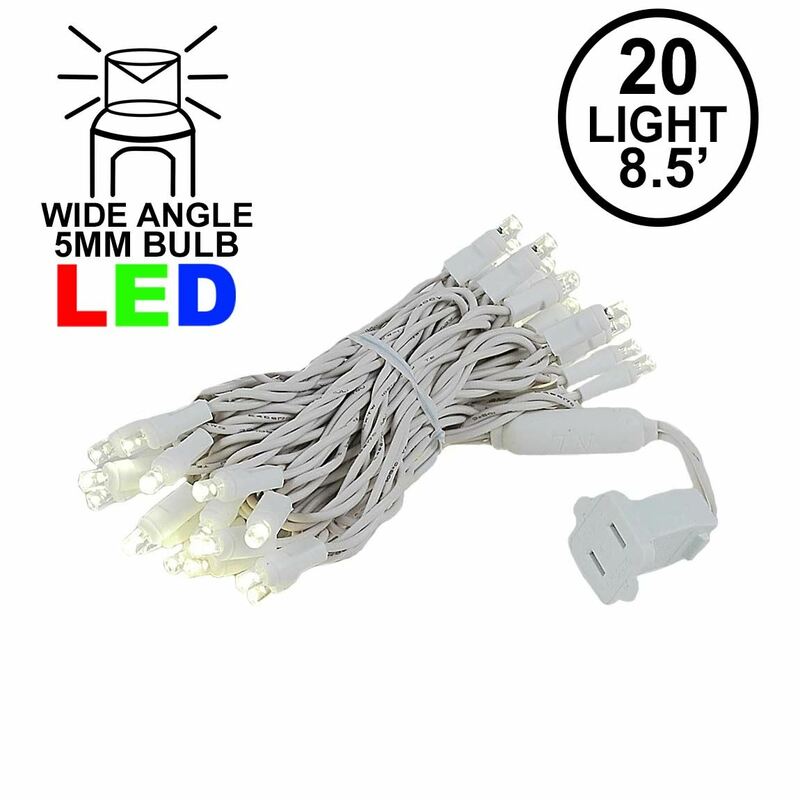 20 light LED Christmas lights with commercial grade wide angle (5mm) LED Bulbs. 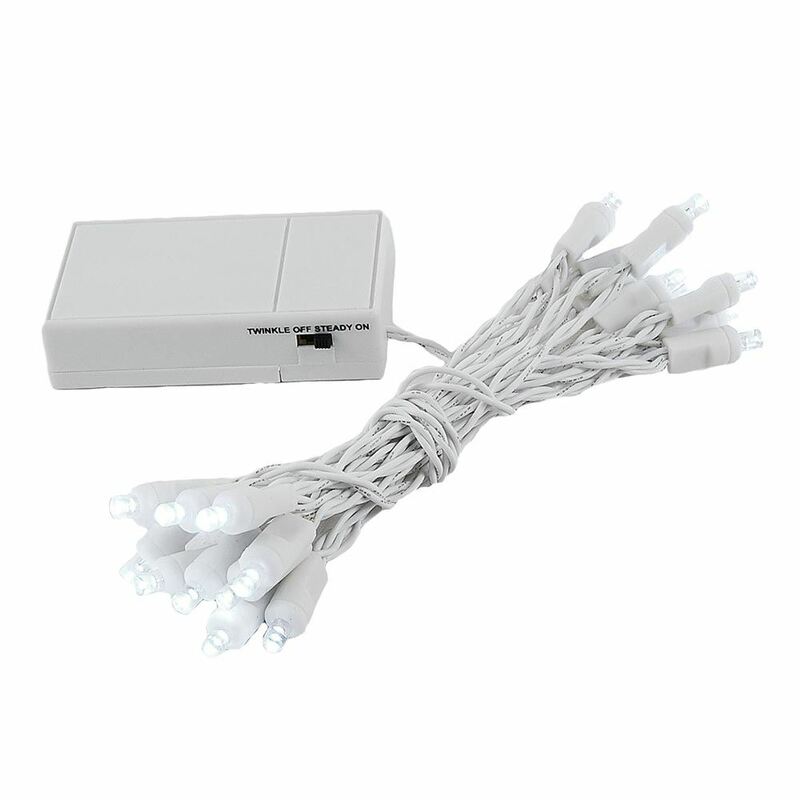 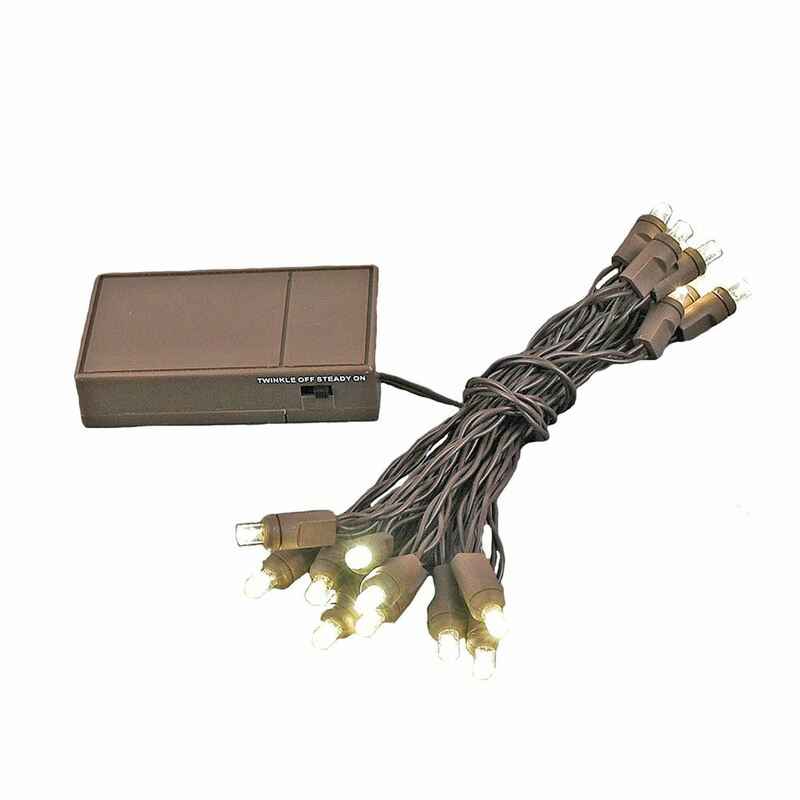 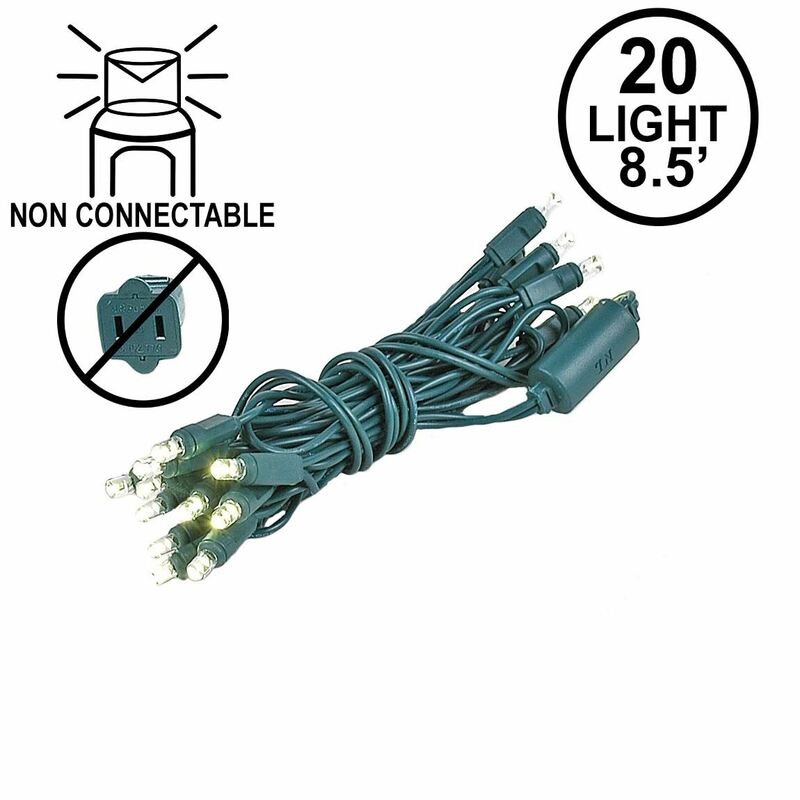 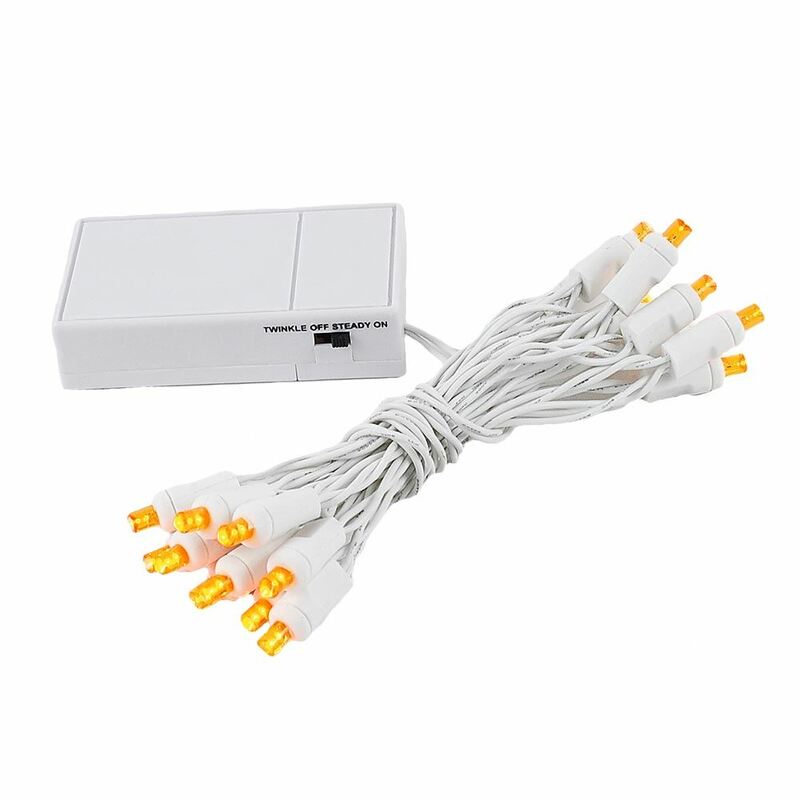 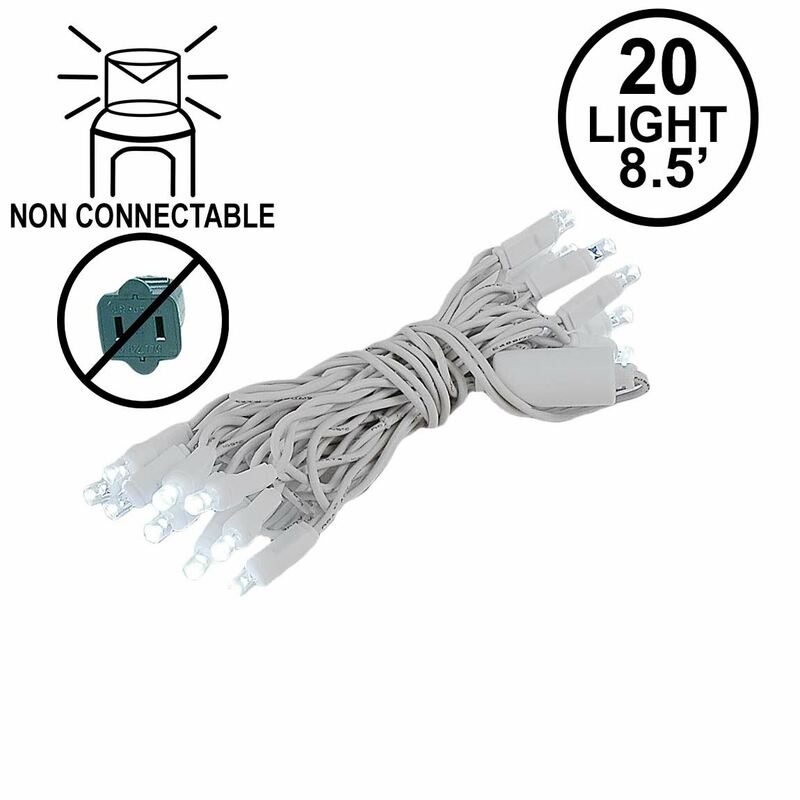 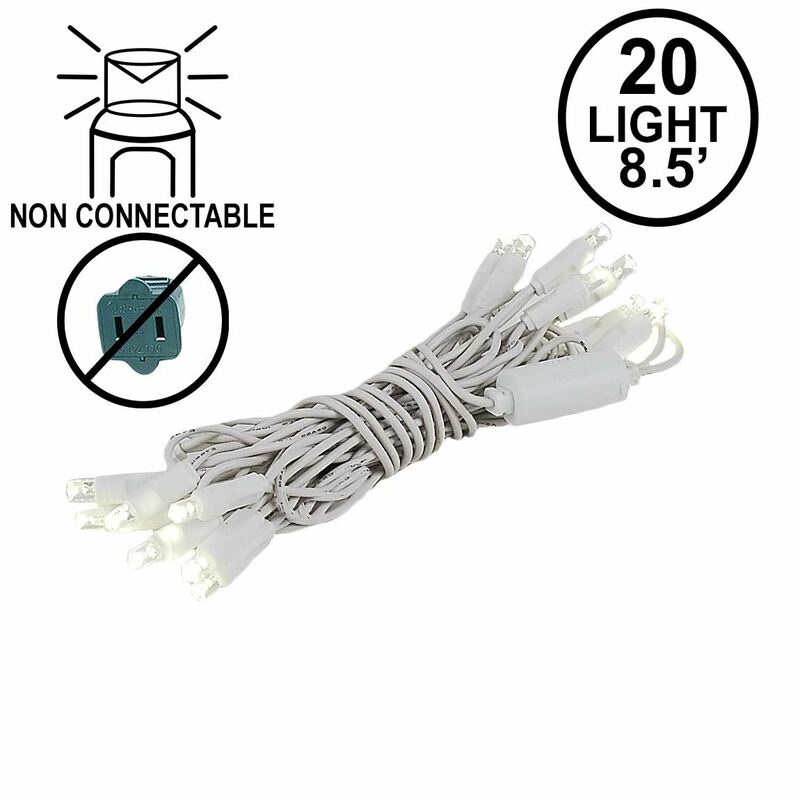 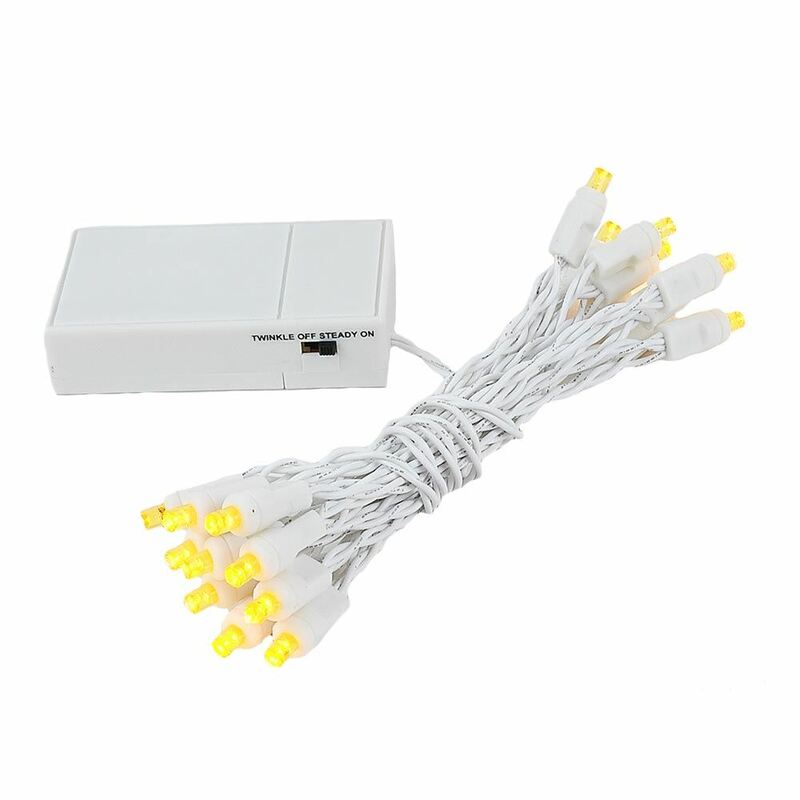 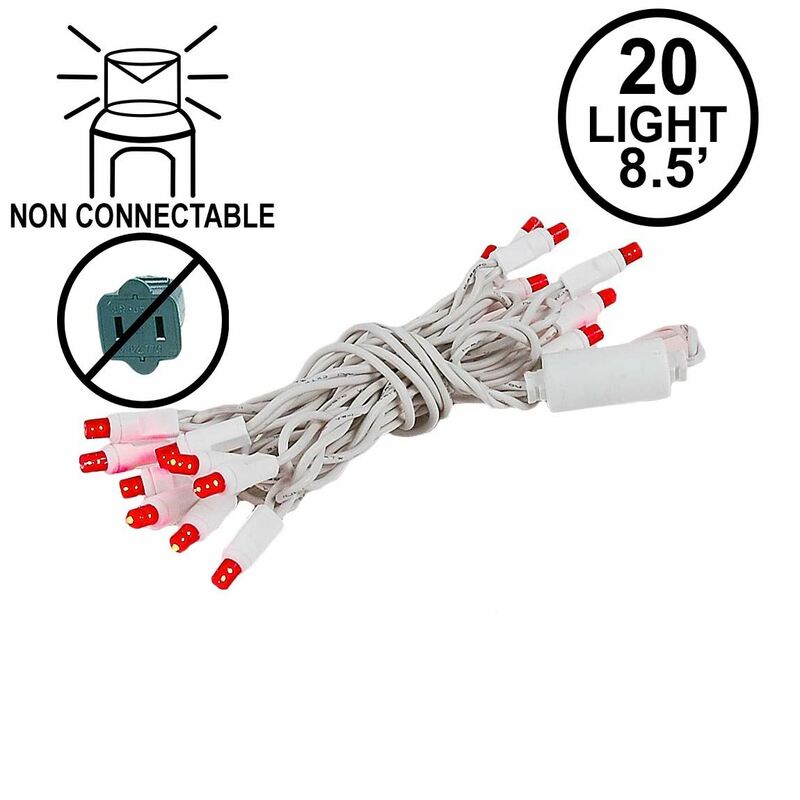 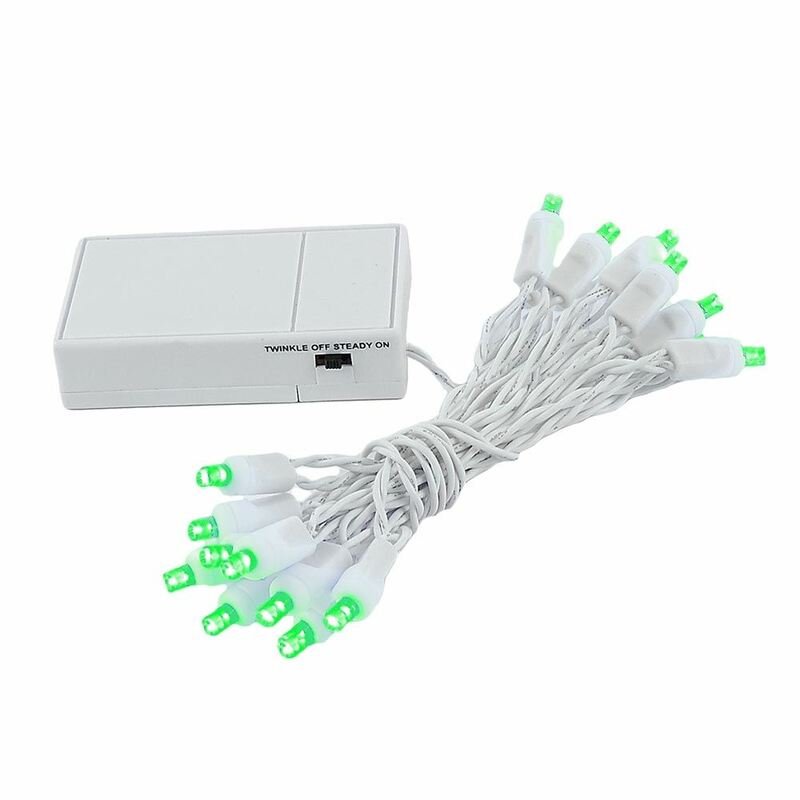 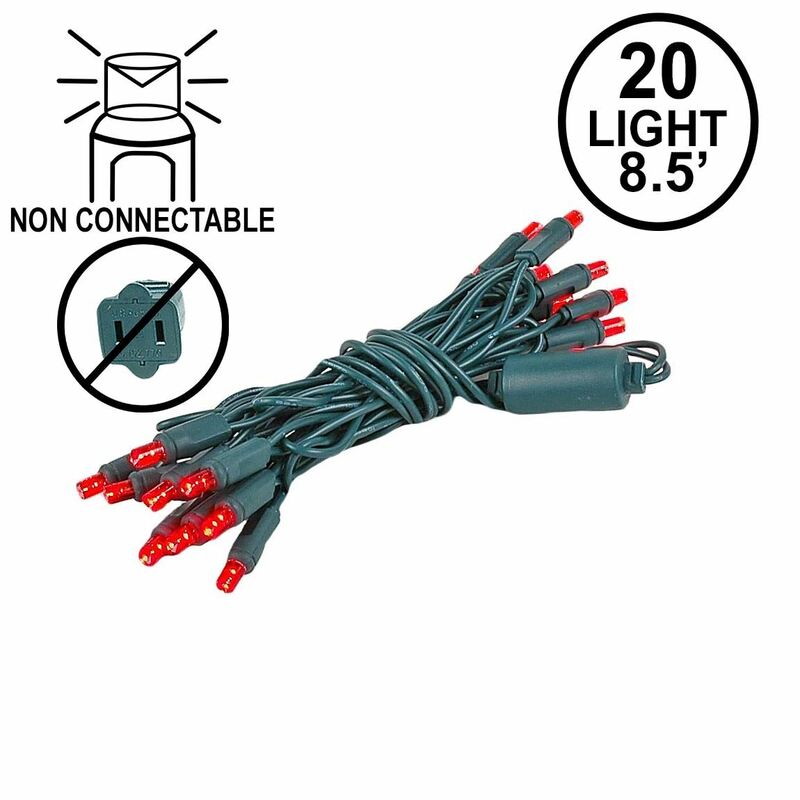 All our 20 bulb light strings are available in connectable or non connectable (no end-to-end connection). 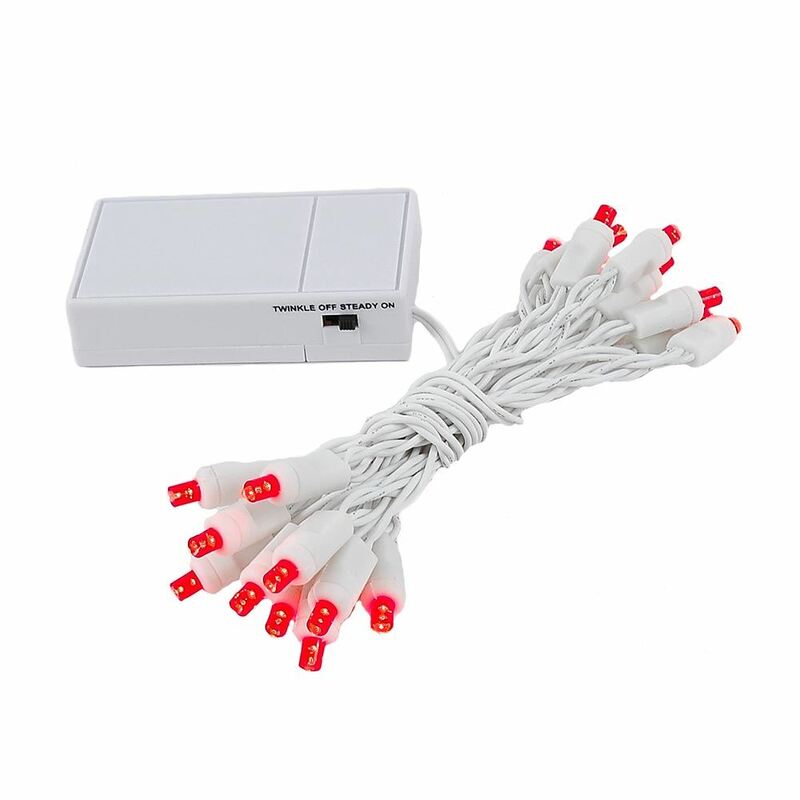 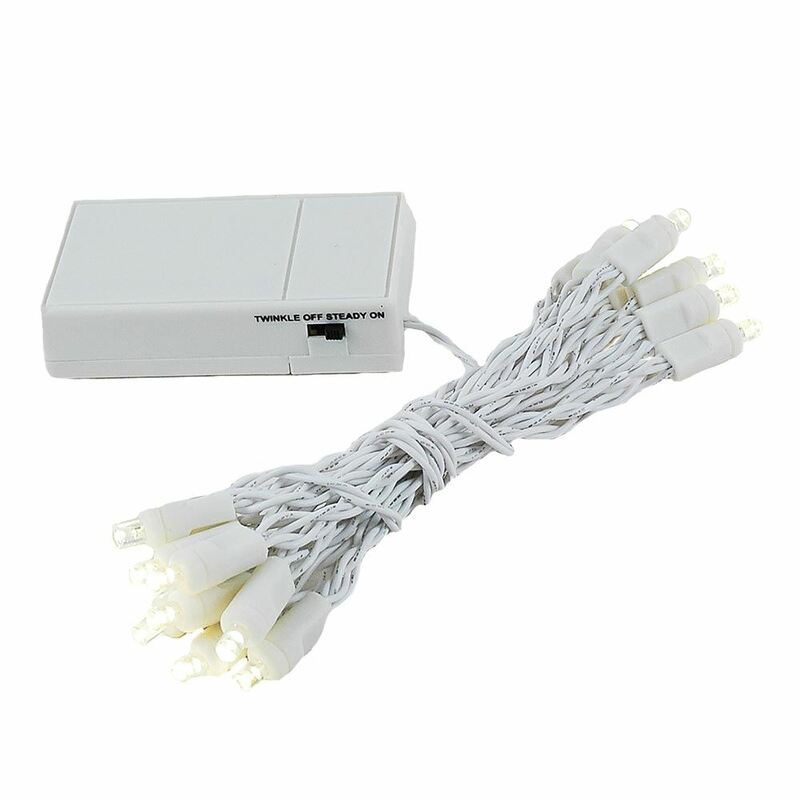 Perfect for small craft projects and available in different colors and on green or white wire.